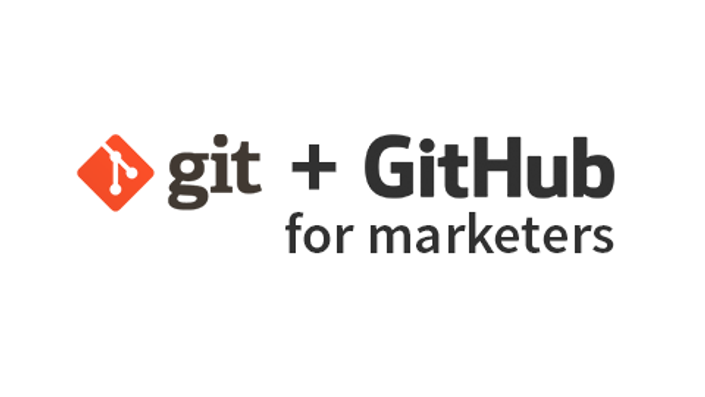 Learn how to use Git/Github as a technology marketer. Learn the basics, ramp up your knowledge, and work better with developers. So here's the deal. Being a marketer and "learning how to code" is all the rage these days. But what does that actually mean? If you're a marketer who works with developers to get things done, it's time you learned how version control (Git/Github) works. By learning the fundamentals, it will make you more self-sufficient and accomplish more in less time. This course guides you through the the basics, and how to get up and running quickly. This course is designed for marketers who are interested in understanding how version control works, but don't know where to start. This course teaches you everything you need to know, and avoids the stuff that you won't use. This course is taught by a marketer who understands what marketers should use on a daily basis. In this course you won't learn pointless commands, but instead, tutorials will be geared towards real-life examples. This will enable you to use your learnings tomorrow…instead of never. This class won't teach you how to automatically favorite posts on Twitter (or whatever the latest growth hack is), but instead teaches you a very important skill that will make you extremely valuable and give you a competitive advantage over your peers. Using version control is a normal part of working at a technology company, don't you think it's time you learned what pulling, pushing, merging is and how to do it? "Version control is a rare tool that I would say is absolutely required, even if you are only using it as a solo developer. Some people say that it's a tool that you live and die by, I agree with that assertion." "Version control is almost impossible to live without after you start using it. It is indispensable if more than one developers are working on the same code base...but it also quite useful for a single developer." If this is so important to developers, and you need to work with developers to get things done, don't you think it's time you learned how this works? Maybe you've tried learning in the past - you've spent hours Google searching how to get started, and still have trouble understanding what everything means. That's totally okay! The reason why this happens is because 95% of the articles written about version control are written to developers, not marketers. This course is tailored to you, a marketer. These other articles assume that you know things, that you probably don't know. Let me guide you through this maze, and show you how awesome version control is, and how you can use it daily as a marketer. This course is a culmination of my learnings over the past 3 years. Let me help you not make the same mistakes I've made. You'll also save a ton of time in the process. Have an questions? Email me [at] lukethomas [dot] com. If you're an organization looking to purchase seats for the entire team, contact me and I'll give you a volume discount. Anyone can learn the basics of version control with this course. If you're looking to do the command line section, you'll need an Apple (OSX) computer, not a Windows PC. "To work effectively with developers, learning Git is essential. There are many resources out there, but Luke's course is designed with marketers in mind. I'd recommend this course to any marketer working on growing their skills." 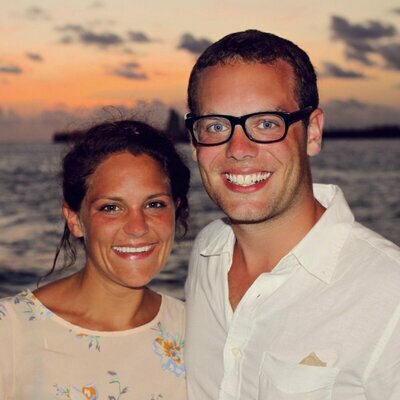 "As marketers, we can sometimes be a liability to the dev team. Learning git enables us remove friction in the day to day work and become even more helpful to our organizations"
I'm Luke, I do growth at Safari (yes, I work with developers on a daily basis). I previously worked at YesGraph as a growth engineer. Before that I worked for Boundless where I was on the engineering team doing product/growth work (writing code in Ruby/Rails/Sass/Haml land). I started writing code as a 16 year old in high school, so I've been coding for a while. In college I turned photoshop files into WordPress websites. Now, I spend most of my time blending marketing + code. I'm also an advisor for Crystal. Access to the Git for Marketers course.